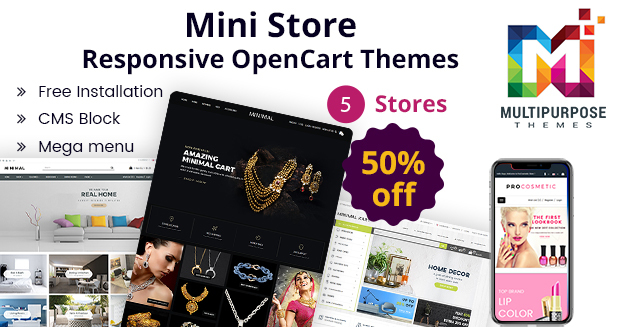 Are you looking for the ideal way to create a Shopping Crat, Jewellery Store Theme Or Cosmetic Opencart Themes? Great OpenCart 3 Themes are the key to creating effective visual interfaces for successful websites. Features: OPENCART Version 3.0.x, Newsletter Module, Mobile Menu, Brand Logo Slider Module.